If you had been at Turner Stadium in Humble, Texas, on August 3, 2016, you would have witnessed the exact moment Brandon Miller went viral. On a scorching hot day at the AAU Junior Olympic Games, the 14-year-old ran the 800m faster than everyone else at the meet, including 17-year-old Cameron Cooper, a senior-to-be who would go on to run the second-fastest U.S. high school indoor 800m just six months later. Beyond that, though, you would have seen Miller, with a near two second negative split, run the fastest 800m performance ever for a 14-year-old. And in that moment you would have realized this scary fact about Brandon Miller's 1:51.23 -- it could have been even faster. Brandon Miller, from St. Louis, has dominated the AAU circuit for years. But the term "dominated" doesn't fully encapsulate exactly how superior he has been in his age group. Since 2011, when Miller was nine, he's won every AAU national title in both the 800m and 1500m, and has only failed to break the national record in his age group once out of 12 tries. His tear through the middle distance scene has resulted in 11 AAU records in races that he's essentially run by himself. Miller's average margin of victory in the 800m and 1500m at the AAU Junior Olympics from 2011 to 2016 has been 6.67 and 14.74 seconds, respectively. Perhaps "unfair" is a better word to describe Miller's relationship to his competition over the last six years. Right now, he has yet to meet a match. Not surprisingly, Miller had a spectacular freshmen campaign this spring for St. Louis John Burroughs High. 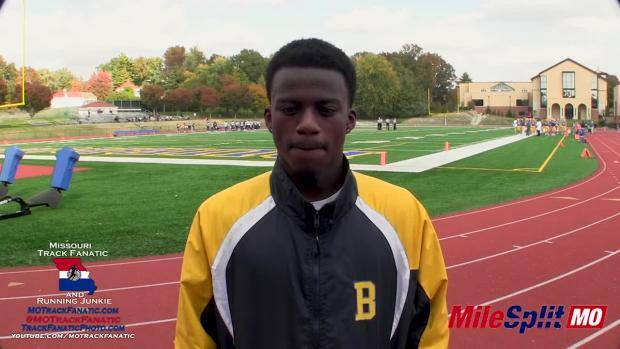 His undefeated season not only culminated in a Missouri Class 3 state team title for John Burroughs -- with Miller's winning contributions in the 800m, 4x200, 4x400, and 4x800 serving as the catalyst -- but he also popped off another blistering 800m that came attached with more superlatives: fastest among all Missouri classes and a freshman national record. The 1:50.84 he ran on May 27 broke Michael Granville's freshman record of 1:51.03 set in 1993, which aside from the obvious parallel implication -- Granville also has the overall US high school national record of 1:46.45 -- put a new trio of elite 800m records on high alert. 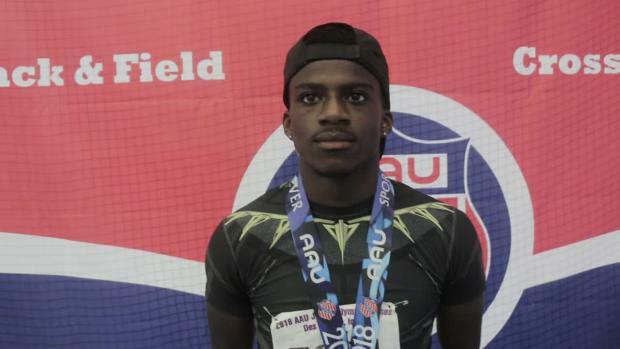 By the end of the summer, Miller has a chance to break the overall AAU National record of 1:49.78, the 15-year-old age group world record of 1:49.72, and the Missouri record of 1:49.54. Both the state mark and the AAU national record hold some extra significance for Miller. Fellow St. Louis track star and current Texas Tech All-American Charles Jones owns both records, and the two Missouri half-milers are very close friends. "Blood couldn't make us any closer," said Miller of his relationship with Jones, who set the state record in June of his senior year in 2014. Jones was a superstar in Missouri, but with all due respect to the 21-year-old -- who's run 1:46 -- Miller projects to reach much higher levels than his mentor ever did in high school. Again, Miller has been running these outlandish times essentially by himself. Often, like he did with that 1:51 last summer, he's negative-splitting by wide margins. Even with months to go before he starts his sophomore year, Miller just needs a competitive race to show what he's truly capable of against the nation's best. He'll finally get that chance this weekend in Seattle. 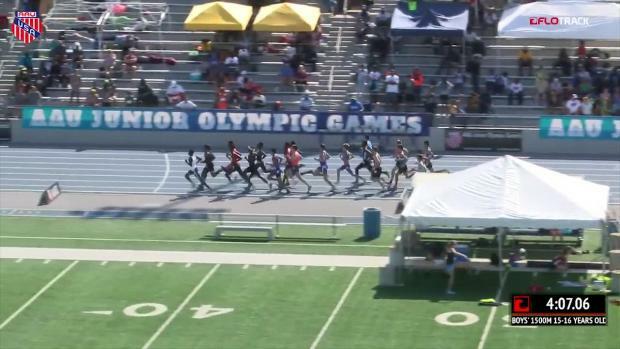 In a field chalked full of upperclassmen and seven athletes with faster PRs, the freshman has an excellent shot to topple both the 15-year-old age group world record and Jones' state mark at the Brooks PR Invitational. You can tell Miller has been itching to step up to such a stage. 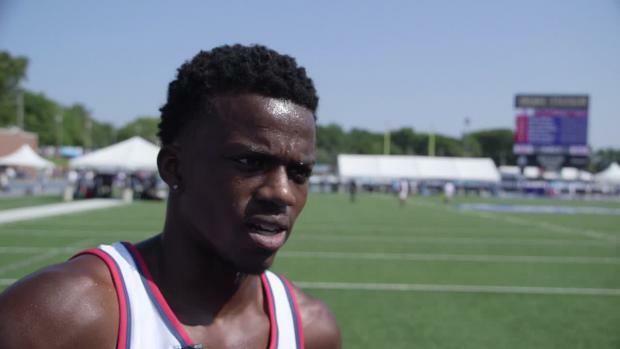 Right after popping off that 1:50.84 at the state meet, a race he won by nearly four seconds, he was immediately focused on where the time put him in the national rankings. He wanted the golden ticket to Seattle. "That's the first thing he did when he came off the podium was check the times to see where he was ranked," said Angela Miller, Brandon's mom and a John Burroughs assistant. Just days later at the Festival of Miles in St. Louis, Miller finally got it. After winning the boys 800m in 1:52, the phenom found out that the golden ticket was his. "I've been wanting to go since last year, since I've seen it. To be able to finally achieve it, dream come true," he said. He's only a freshman, but when you've been this much better than your competition for so long, it's understandable for Miller to feel like he's waited forever for this chance. Of course, there's no real need to obsess over every record that presents itself for Miller. He's 15. There will be bigger and better records to come in the 800m. He may eventually break the Missouri record and do the same to the AAU mark at some point. Another eye-popping time could be in store for Miller at Brooks PR this year, but if not, this is clearly just the beginning. To that end, Miller and his mom are keenly aware of where he sits. Outside of running, Miller proudly shares that he was a varsity point guard at John Burroughs as a freshman. Missouri doesn't have an official indoor season, so Miller spent the winter dishing out assists on the basketball team rather than circling a cramped 200m track. Miller's older brother plays on the team as well. And of course, Mom has established the top priority for her son. "It's school first, because he goes to a pretty rigorous school. So it's always just being mom first making sure his homework is done," she said. Miller may be ready for bigger and better things on the track, but he's just living the typical 15-year-old life off it. 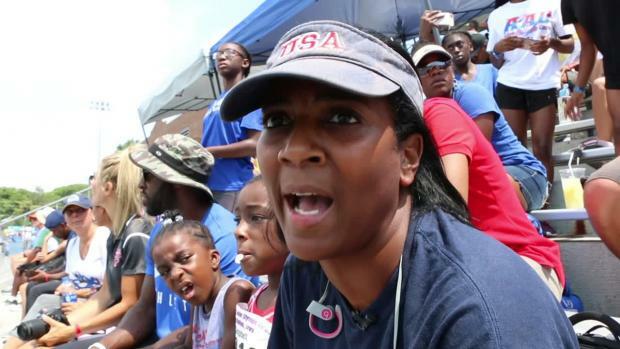 Right before Miller won his golden ticket after his run at the St. Louis Festival of Miles, Angela made sure to remind her son that it was in fact a school night. When Miller set his age group world record last summer, he won that race by nearly nine seconds. After running the first lap in 56.5 seconds, the kid who had been crushing his competition for years proceeded to unleash a 54.73 close that looked almost comical compared to his fellow 14-year-olds. Nobody else ran under 61 seconds for the final lap. So it's not hard to imagine that Miller may have had more left. But there was just no one on the same planet as him that day, or really any day so far in his young career. But that changes this Saturday.